Squarespace offers a special home page called a lock screen that you can use while you're designing your website. The lock screen appears when people go to your website and it is password-protected. Lock screens offer more benefits than the standard "Under Construction" icon you see with not-quite-done websites. You can start to build excitement about your new website. Depending on what you share on the page, curious visitors can get a sense of your company and its personality. You give reviewers a way to look at the site without giving them editing access in Squarespace. If you have created a search property through the Google Search Console, you give your website a head start in being found in Google search results because the website is technically live, even though it's password-protected. Before you get started, you'll need to have connected your domain to the Squarespace site in Settings - Domains. Then set a password in the Squarespace editor by going to Settings - Site Visibility - Password Protected. Set the password and save your updated settings. Anyone who visits the site while it is under construction will use this password. In the Squarespace editor, go to Design - Lock Screen. Choose a layout and add any text, pictures, or videos you'd like for this page. You can find more detailed instructions here. Consider the Squarespace lock screen a one-page preview for anyone who finds the site before it's ready. You'll want to entice visitors enough to want to come back when the website is ready. You could add your logo, the banner picture from your actual home page, and any headlines or introductory text visitors might want to know. You can even add videos or a slideshow to add even more visual interest and tell a story. When you are ready to make your website live, disable the site-wide password in Settings. 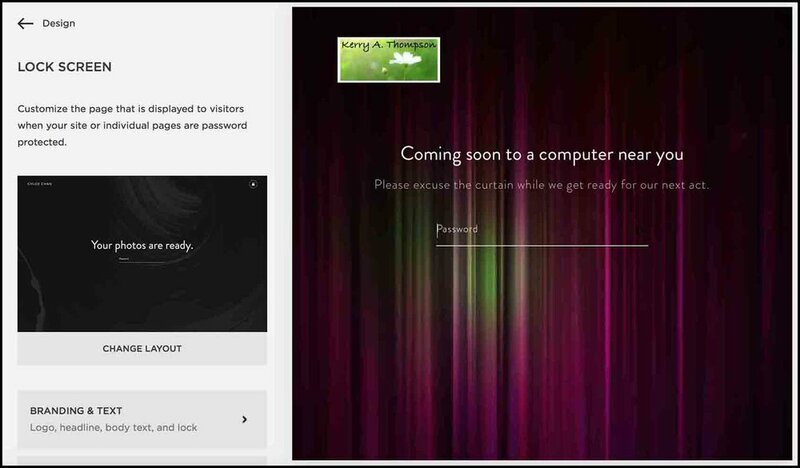 The Lock Screen becomes inactive and the site's regular Home page now displays when people visit your site.